ElGeeko.com » Blog Archive » Phoenix Jones Unmasked! 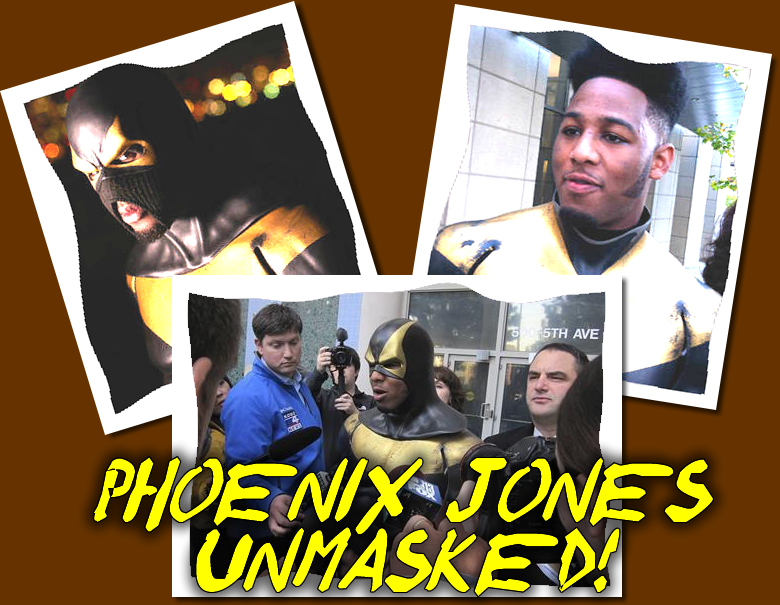 We have no idea who Phoenix Jones is, but apparently he’s been unmasked. What little we do know comes from a recent spat of articles in the news lately. You can read all about him and his recent exploits on plenty of websites. Apparently he’s some kind of modern day super hero that belongs to a group in Seattle. Sounds like he got in trouble for macing someone and had to go to trial… without his mask. From what we can gather this is actually becoming a trend, putting on a costume and being a vigilante justice member who roams the streets macing people. Huh. They even have legions where a bunch of these people get together and walk the streets in teams. (Reuters) – Self-proclaimed Seattle superhero Phoenix Jones, a vigilante crime-fighter accused of assault, made his first court appearance on Thursday, but prosecutors have so far declined to charge him. The onetime mixed-martial-arts competitor whose real name is Benjamin Fodor was arrested on Sunday after police said he pepper-sprayed a group of innocent nightclub patrons he believed were involved in a street brawl downtown. ElGeeko, News of the Geek.